Read the full article by Bill Cook on the Michigan State University Extension website. This story is courtesy of Biomass Magazine. Biomass-produced electricity can be produced in the United States for about the same cost as other renewable sources of energy, according to a new study conducted by The University of Georgia. However, wood pellets also would require the same tax credits and other government subsidies needed to make solar and wind energy competitive with coal, the study concluded. 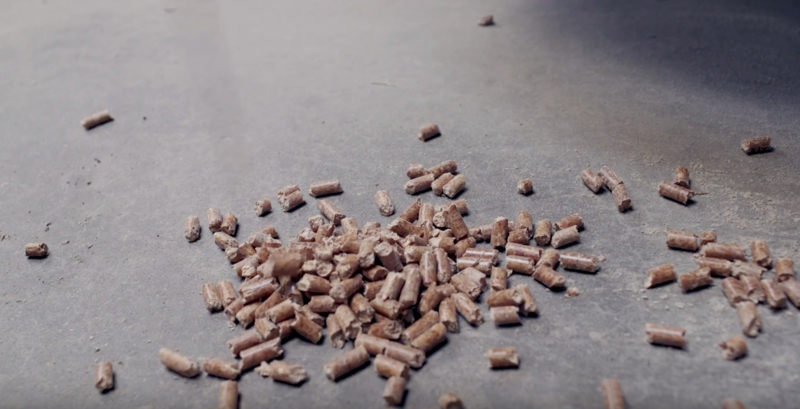 "It's just not economically feasible to use wood pellets in energy production," said Bin Mei, associate professor of forest resource finance and economics at UGA's Warnell School of Forestry and Natural Resources. Wood pellets, a major forest product in Georgia, are used heavily in European power plants to comply with government mandates to reduce fossil fuel emissions, Mei said. But that energy production is heavily supported by government subsidies. Will American Forests Fuel UK Coal Phaseout? The United Kingdom's break with coal may intensify the debate over a ready replacement: wood pellets from southeastern U.S. forests. An environmental group opposed to the burning of wood pellets for fuel warned that fueling power plants with wood isn't a clean alternative to coal, which Prime Minister Theresa May said the United Kingdom will phase out by 2025. "A reduction in global coal burning would benefit the environment, but not if coal is swapped for wood pellets," said David Carr, general counsel for the Southern Environmental Law Center, in a news release yesterday. "Burning wood pellets still produces vast amounts of carbon pollution and threatens our Southern forests." The SELC said it worries that increased demand for wood pellets in the U.K. will mean more trees cut down in Georgia, South Carolina and Virginia, although most wood pellets are made with residue from trees cut down for other purposes. Transitioning away from coal. That was the main theme at Day One of this year's WPAC conference in the nation's capital. Executive director of the Wood Pellet Association of Canada (WPAC) Gordon Murray said the industry received the confirmation it needed this morning regarding the government's commitment to reducing GHG emissions and making bioenergy more widespread across Canada. "All of our focus, being here in Ottawa, has been to educate not only the producers, but the regulators, government people, and the power utilities who did show up in good numbers, about the benefits of biomass here in Canada," Murray said. "We're not going to have a successful industry unless we can demonstrate to the public and the governments how sustainable [biomass] is."